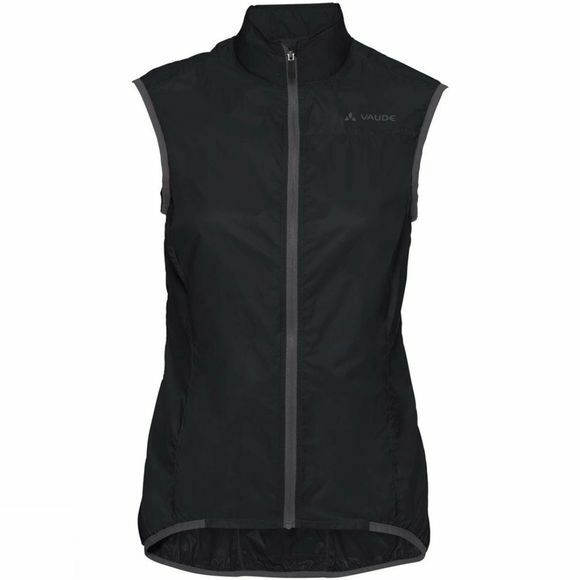 The Womens Air III Vest from Vaude is a breath of fresh air. 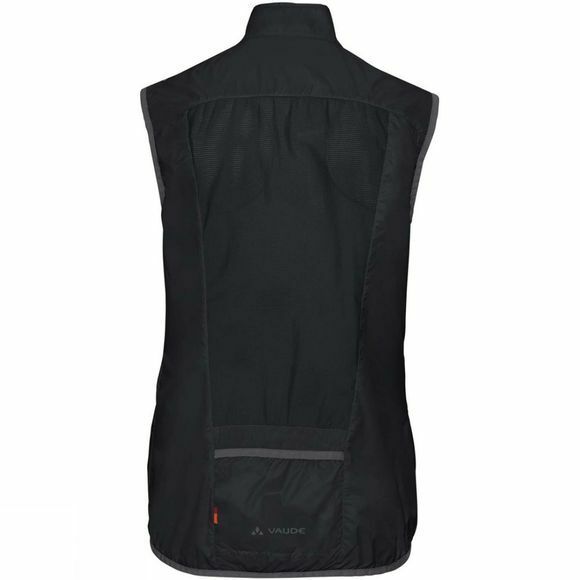 The ultralight wind vest protects shoulders and chest from overcooling while the stretchy mesh inserts ensure optimum ventilation for your back. Made from environmentally friendly materials and is certified in accordance with the strict bluesign system environmental standard, this vest is simply unbeatable–in pack size and weight! This product is made with Eco Finish, an eco-friendly, fluorocarbon-free, water repellent finish (PFC-free). The Vaude Green Shape label stands for environmentally friendly, functional products made from sustainable materials.